John Brown Jordan was born August 12, 1888, to parents William and Agnes Brown in Kingston, Ontario. It is not surprising he heeded the call to serve in WWI as his father was a career soldier, as well as his older brother Samuel. John was not new to soldering, he already served nine years with the Royal Canadian Artillery and seven years with the Canadian Army Service Corps. John married to Celina Collins in 1905 at St. Matthew’s Church, Quebec City and they had three children, Celina Agnes Becroft (Bee) born in 1906, John William Sidney (Syd) born in 1908 and Mary Patricia arrived in 1913. John enlisted September 10, 1914, and is described as fresh complected, with dark blue eyes and medium brown hair. He wasn’t the tallest in stature measuring in at 5’4”. He sailed on the S.S. Alaunia which transported the first Canadian troops to head overseas. John left for France July 19, 1915, joining the 3rd division and was mentioned in dispatches Dec. 28, 1917. John’s daughter Mary Patricia died while he was gone in 1918. John survived the duration of the war and returned to Canada Sept. 6, 1919, sailing on the S.S. Minnekahda. John continued working for the military, returning to England and working there as a clerk to the Imperial War Graves Association. John and his wife Celina divorced, and John married Rose Emma Matthews Davis, a widow from England. Rose and John’s only child, a son Leslie was born in 1921 in England. Leslie also became involved in the military, in WWII he was a Flight Seargent with 108 Squadron. Leslie’s plane crashed in Dundalk, Ireland killing seventeen people. Leslie is remembered on a plaque in Brighton (Downs) Crematorium in England. 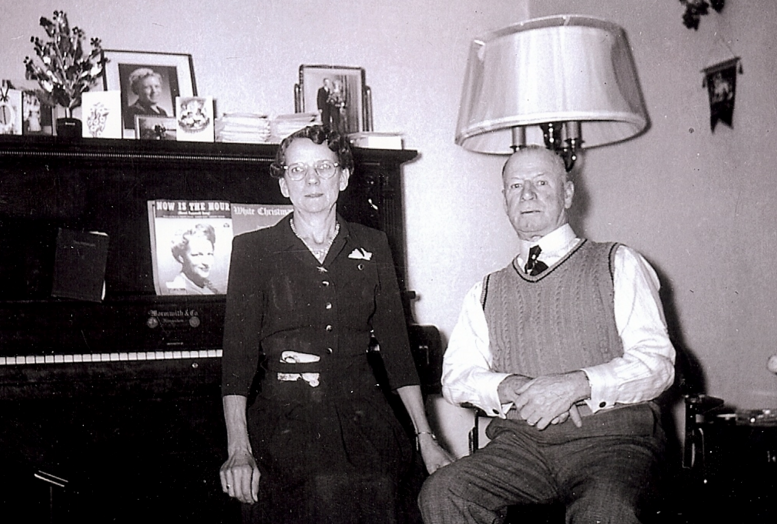 John Brown returned to Canada after WWII, and he and his wife settled back in Kingston. John died there in 1951; he is buried at Cataraqui Cemetery. A memory that told to me by John’s nephew, Herbert Jordan was that John was very hard to understand as he had been gassed during the war and had a hole in his throat.